At Anglia Sunshine Nurseries, we take the responsibility of safeguarding your children very seriously. 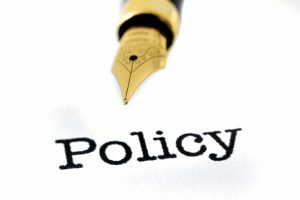 We have a comprehensive set of policies and procedures to ensure that our standards are met at all times. Children are welcomed on a first come first served basis, where suitable sessions are available. We operate a strict waiting list procedure and children’s names are added once we have received a completed registration form. Every child is offered a free play session prior to commencing the nursery during which they have an opportunity to play, meet the staff and other children, followed by our “settling in” programme which ensures that we only have one new starter at any one time. Anglia Sunshine Nurseries believes that all children and parents are entitled to expect courtesy and prompt, careful attention to their needs and wishes. We welcome suggestions on how to improve our nursery and give serious attention to any concerns about its running. Anglia Sunshine Nurseries aim to bring any such concerns to a satisfactory conclusion for all the parties involved. Anglia Sunshine Nurseries respect the privacy of all the children and their parents, whilst ensuring that they receive high quality nursery care and education. We aim to ensure that all parents can share information in the confidence that it will only be used to enhance the welfare of their children. Anglia Sunshine Nurseries operate an inclusive policy and welcome those who are not able to speak or understand English. Our strategies to support the children and their families are implemented by all members of staff. We ask for crucial details at the admission stage, which are shared with the staff team to ensure that everyone supports the family appropriately. Anglia Sunshine Nurseries is accessible to children and families from all sections of the local community regardless of their gender, special educational needs, disabilities, background, religion, ethnicity or competence in spoken English. We aim to ensure that the existence of the nursery is widely known in all local communities. We are an equal opportunities nursery care provider and employer. Anglia Sunshine Nurseries understand and acknowledge that the health and safety of the children is of paramount importance. Our intention is to provide a nursery environment that is a safe and healthy place for children, parents, staff and visitors, by ensuring that children, parents and staff are aware of health and safety issues, and that we minimise hazards and risks to enable the children to thrive in a healthy and safe environment. We believe that children flourish best when they know how they are expected to behave, and should be free to play and learn without fear of being hurt or unfairly restricted by others. Anglia Sunshine Nurseries aim to create an environment of acceptable behaviour, where children learn to respect themselves, others and their environment. We manage children’s unwanted behaviour in ways that are appropriate to their age and stage of development, and work in partnership with parents, who are regularly informed about their child’s behaviour by the key person. We adhere to a strict mobile telephone, cameras, laptops and social media policy for all staff. All devices must be switched off and stored in the staff room, must not be used whilst staff are on duty and must never be taken into a room that is registered for use by the children. Only nursery recording equipment, for example cameras or laptops, may be used by staff with prior permission from the nursery management team. We endeavour to support parents as their children’s first and most important educators and involve parents in the life of the nursery and their children’s education. We believe that working in partnership with parents is vital in ensuring that the children are able to get the most from their nursery experience. Anglia Sunshine Nurseries fully recognises its responsibilities for safeguarding children. We aim to create a nursery environment in which children are safe, healthy, develop a positive self image and a sense of autonomy and independence. Our nursery environment promotes the children’s learning and development. We at Anglia Sunshine Nurseries want the children to feel safe, stimulated and happy, to feel secure and comfortable with staff, and for parents to have confidence in the well being of their children. We aim to make the nursery a welcome place where children settle quickly and easily, by giving consideration to the individual needs and circumstance of children and their families. You as parents/carers are responsible for determining your child’s ability to participate in the daily activities of the nursery. We must provide a healthy environment for the other children in the nursery. We operate a Sick Child Policy which guides you as parents/carers as to whether or not your child should be in nursery when they are poorly or are recovering from illness. We welcome all families into the nursery and aim to provide an inclusive environment, in line with our Equality and Diversity policy. Anglia Sunshine Nurseries has a dedicated Special Education Needs Co-ordinator (SENCO). We understand the need to make early assessments of children’s developmental needs and to provide intervention when appropriate, working in partnership with parents. In the event that a child is not collected by an authorised adult at the end of a nursery session or day, Anglian Sunshine Nurseries puts into practice a series of procedures. These ensure that the child is cared for safely by an experienced and qualified practitioner, who is known to the child. We will ensure that the child continues to receive a high standard of care, in order to cause as little distress as possible. Anglia Sunshine Nurseries understand it is our duty to protect the children in our care from the risk of radicalisation. This is part of our wider safeguarding responsibilities in a similar nature to protecting children from other harms, whether these come from within their family or are the product of outside influences. At Anglia Sunshine Nurseries we believe that all children should feel as comfortable, confident and emotionally secure as possible when starting nursery or transitioning to school. Where children may be attending more than one setting we aim to maintain close links with other childcare providers/schools practitioners. We will regularly share information on children’s development and learning records and actively pursue links with schools in the area. Please ask your room leader or email us at admin@angliasunshinenurseries.co.uk if you would like to view a copy of any of our policies.